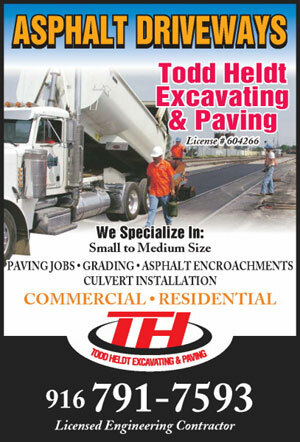 Welcome to Todd Heldt Excavating and Paving Online! From the first meeting to the final acceptance of the job – you get the owner Todd Heldt. He is the one you will meet to discuss your job and specific needs – he will be out as part of our professional team completing your job – and he will be the one finalizing the job with you when it’s completed. This insures complete communication throughout the job. We know it takes just a little more effort to do things right. Cutting corner’s hurts the integrity of the job for the customer and the long term reputation of the company. It’s not worth it for anybody! Even though Todd Heldt Excavating & Paving has been in business nearly three decades, they have successfully remained a Sacramento paving contractor focused on quality work and customer service. STILL HAVE QUESTIONS? CHECK THIS VIDEO OUT FOR MORE INFO…. Watch us pave a driveway in Sacramento, CA.